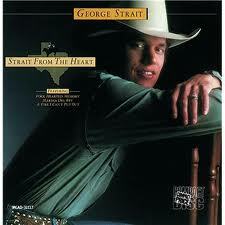 Thirty years ago, “Fool Hearted Memory”, the first single from his second album, was George Strait’s first number one single. And for very good reason. Up to that point, Strait demonstrated great potential, but this is the first time that he fires on all cylinders with overwhelming success. With “Fool Hearted Memory”, Strait finds his literal voice. It is stronger and more confident than it had been on his first album. While the song calls for a certain amount of restraint and sadness, Strait is able to fully capture those emotions without sounding at all timid. A song about a pesky memory that won’t let a man admit to himself that his woman has left him for good is the stuff of a killer country classic. What’s more, one cannot hear the song without reveling in the delightfully country fiddle riff that dominates the track. Likewise, the infectious, sing-able melody will be in my head for the rest of the day just from listening to it twice for the purpose of this review. I’m guessing it’ll now be stuck in your head as well. Love it! Great performance, and who doesn’t love those fiddles? The stuff of a killer country classic indeed. Spot-on review. I’m going to try to get it stuck in my head now. “Nickels and dimes, memories and wine…” Terrific opening line. Hill and Mevis did a great job crafting this one. Strait is clearly a third person narrator, but one who sympathizes with our barfly character. There’s something almost reassuring about the tone of this recording, suggesting that perhaps one day our guy will quit feeding the jukebox and actually get on with his life. Maybe. At the very least, he’s a cautionary tale for all the young bucks at the bar who might be taking for granted the women in their lives.